I’m sifting through formulas in my head and cannot remember ever seeing ionized, magnetically charged loose powder before. Apparently, it’s the magnetic charge that gives all the attracted-together (technical term, obvs) powder a fuzzy appearance. I’ve shot them under a light so you can see the sparkle level – those waves on the top do exist; its not some fuzzy alchemy that makes them an optical illusion and the metallic element allows this wave form to happen leaving the finish in the pot looking like waves of crushed velvet or that colour variant you can see in Tiger’s Eye. Proper gleamers! There are 12 blackened shades (the ions are black) and the three I have here (from bottom to top in the swatch) are: Aphrodisiactic, Gravity’s Pull and Higher Power. 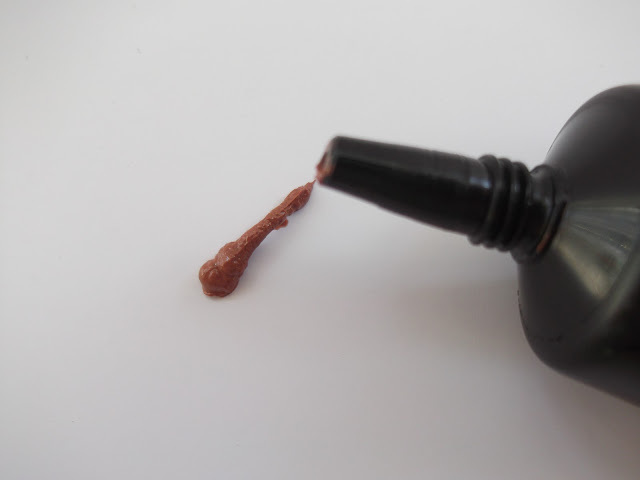 The pigment is intense – one little dab in the pot with my fingertip left an almost inky depth of colour. 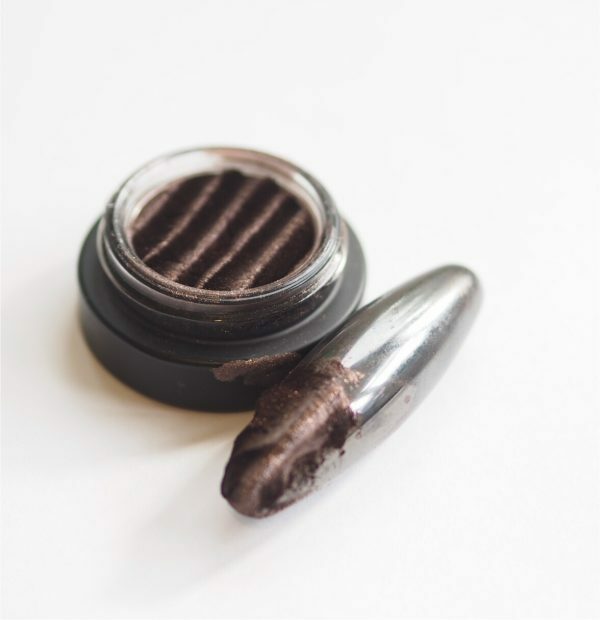 When they’re in the pot, the pigments look almost like fibres but when they’re on the skin they blend out to a smooth finish. 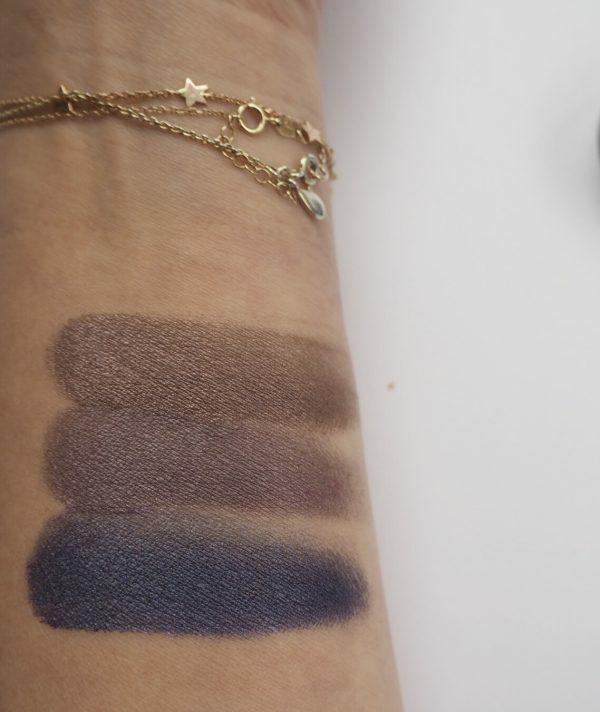 These are the MAC Spellbinder 2016 swatches without much light on them – I played around with blending and it seems to blend very beautifully – with a velvety feel. 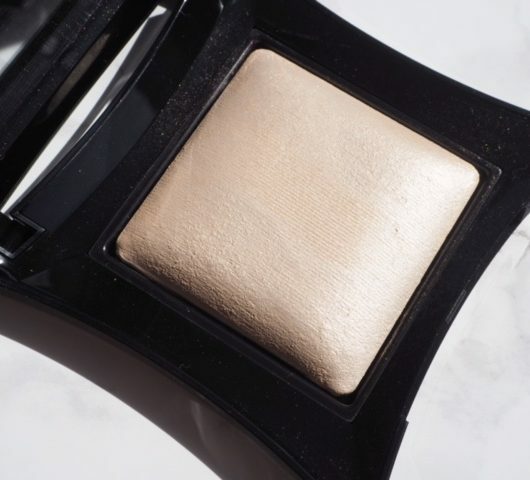 I’ve looked around the internet – the info on these is very newly released so there isn’t a lot – but I spotted some comments on Temptalia with one commenter asking whether, because of the magnetic element, if you pass a metal railing or such do the pigments fly off? It made me chuckle because I cannot imagine that would be the case, but what I know about magnetic science you can write on the head of a pin. I think maybe there was a missed opportunity to create a magnet to take the shadows off your eyes – all the fun! 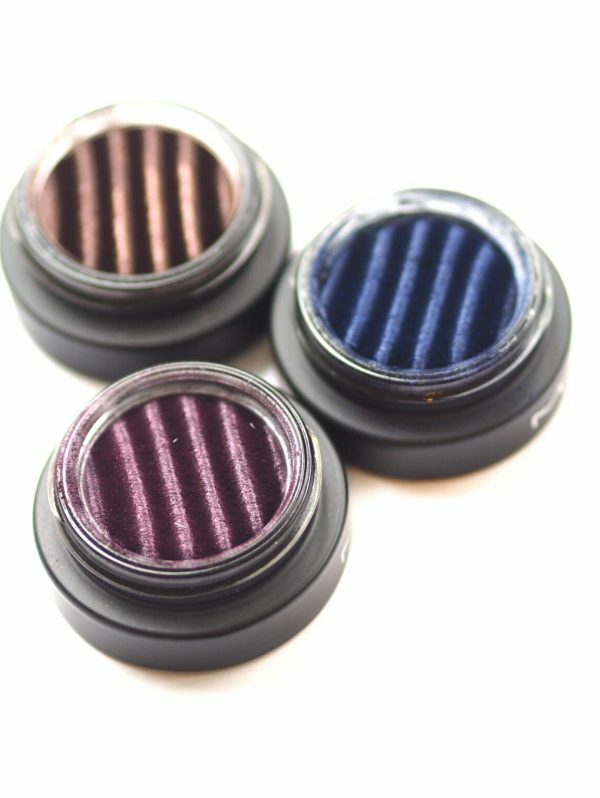 The MAC Spellbinder 2016 shadows are completely mesmerising – there’s just something about them that doesn’t let your eyes move away from them. These don’t launch til December and they’ll be £21 each. Sometime later… you know, that magentized thing kept playing on my mind so I actually tested the product with a magnet – those particles leapt off onto the magnet! 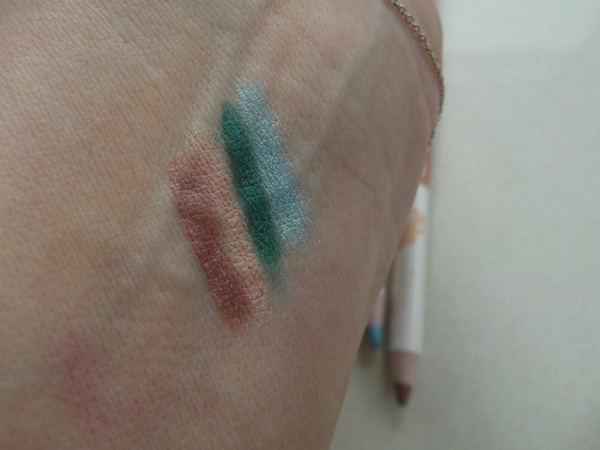 When I swatched the Spellbinder and ran the magnet over my hand where the swatch was – yes! It took the product off my hand. It took several runs for it to properly come off and some sparkle was left behind, but.. wow! The chances of you entering an area where the magnets are so strong they can pull Spellbinder off your lids is about nil…(space travel, anyone).. but now my curiosity is assuaged. Oh, and never run a magnet anywhere near your eyes! There’s a little video on my Instagram Stories (@britbeautyblog) of the particles actually moving around. Incredible that the pigments where attracted to your magnet! Cannot wait for these to become available. 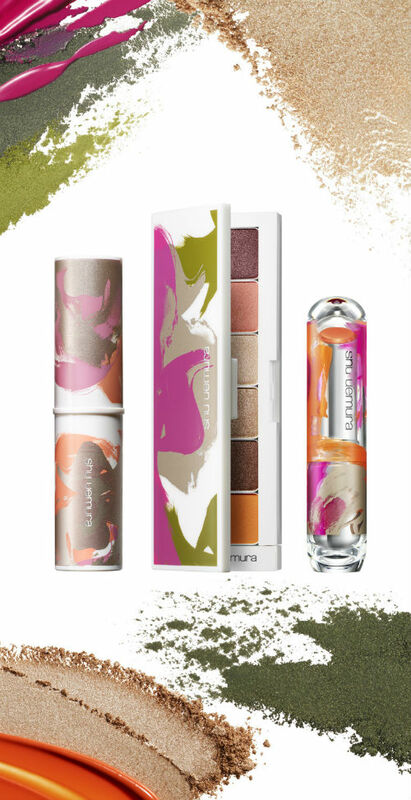 these are so interesting, too excited for them to launch! 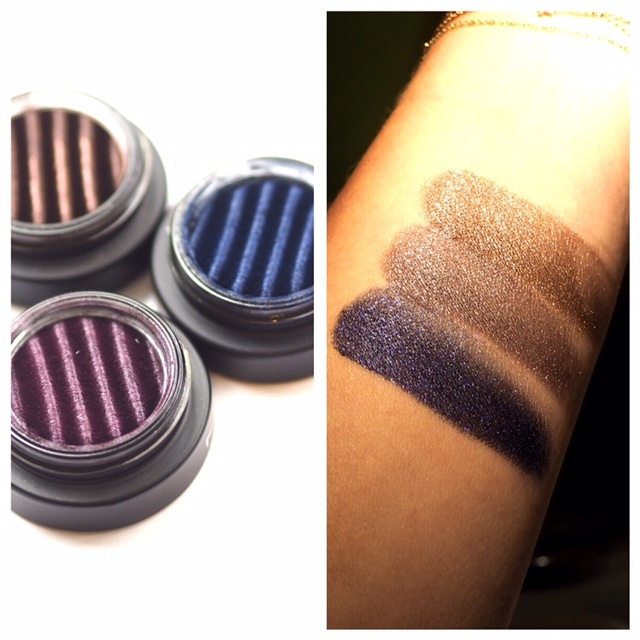 Love the pigment in these shades and the magnetic charge adds a fun twist to an eyeshadow product! This kinda reminds of the discontinued Darac Beauty. He had a magnet in his makeup brush to pick up the “magnetic” HD powder. Maybe, his product was just a bit too early for the tame makeup crowd back in the 90’s. 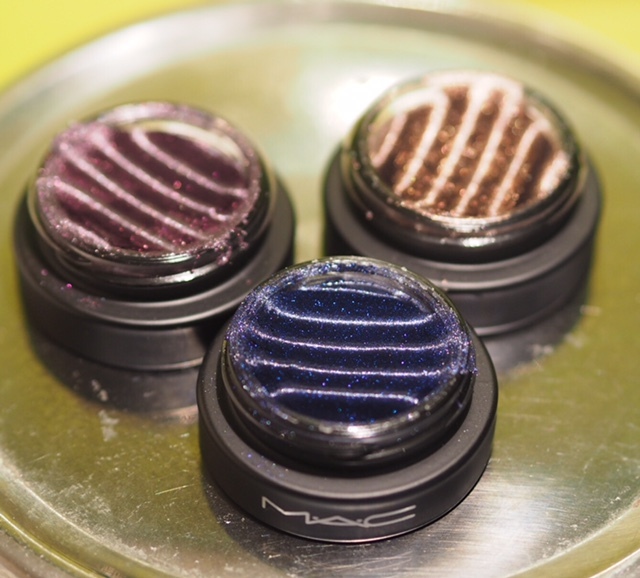 Leave it to MAC to bring it back and with color.